Cognitive Dissidence: Wisconsin Supreme Court Election 2015 - Bradley vs Bradley? Wisconsin Supreme Court Election 2015 - Bradley vs Bradley? Even as the State of Wisconsin is licking its wound from the bloodbath it suffered during the elections earlier this month, the spring elections are just around the corner. Perhaps the most notable and most important race will be for the Wisconsin Supreme Court. Justice Ann Walsh Bradley is up for reelection. Walsh Bradley is one of the few justices on the Wisconsin Supreme Court with integrity, dignity and impartial and measured judiciousness. Her class was shown by the way she handled herself when she was physically assaulted by David "Choke Hold" Prosser. One of the names being bantered about by the extreme right is Rebecca Bradley. This Bradley was appointed to Milwaukee County Circuit Court by Scott Walker two years ago so that she could run for the seat as an incumbent in the spring election. For the record, I endorsed Protasiewicz for the primary and I am proud to endorse her for the general election on April 2. I endorsed her because I know first hand of her strong work ethic, her balanced view and her dedication to the law. I need to point out that the "incumbent," Rebecca Bradley was appointed to her seat by Scott Walker four months ago, for no other purpose than to give the incumbent boost at the polls. I know many people that have appeared before her. Let me just say they were not very impressed. She took an exceptionally long time to learn her job and still has a hard time trying to do it. Furthermore, she is less than honest with the voters. Almost nowhere in her literature (which she sends two of each one to my home), her webpage or ads does she mention that she used to lead the Milwaukee Branch of the Federalist Society. For the unfamiliar, the Federalist Society is to law what Media Trackers is to journalism. 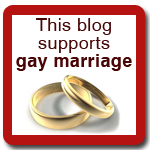 Their mission is to find legal ways to advance their uber-conservative agenda. It turns out I was not completely accurate with that assessment. As it turns out, Bradley is a lot more partisan and a lot more dishonest than I had previously thought. Given his relationship to certain members of the Wisconsin Supreme Court, like David "Rubber Stamp" Prosser, we know what this means. My suspicions grew in the time leading up to the primary and we received numerous flyers from her campaign. That was a lot of money for a county race primary and for someone who just started her campaign just three months before. Pay note to the first highlighted line: "...applying the law impartially, free of any political agenda." One would think that when someone says something like this, they would mean there would no political agenda, but the facts show that Bradley's whole campaign is about furthering the extreme right wing agenda. Another red flag should be when Bradley announced her campaign and named Michael Grebe as one of her campaign co-chairs. Grebe is, as the gentle reader already knows, the head of the corrupt, racist Bradley Foundation and was Scott Walker's campaign chairman for both of his last two campaigns. Well, at least now we can surmise how she afforded all those mailings. Her "nonpartisanship" is also demonstrated by the fact that she is a member of the Republican National Lawyers Association (RNLA). One of the main issues for the RNLA is voter suppression, which has been shown to be targeting young minorities the most. As written by the Republicans, the voter suppression laws would be the most restrictive in the nation. Bradley's RNLA responded with inflammatory, irresponsible and baseless rhetoric, saying opposition to the voter suppression law came from "the far left, anti-democracy and divisive campaign funded by George Soros." Well, that certainly makes it clearer on why Grebe is involved with the campaign. The incumbent, Republican Scott Walker appointee Rebecca Bradley, describes herself as a "nonideological" member of the Federalist Society, which is an organization of malcontents and paranoid hysterics with law degrees that was founded on political ideology. Kinda like being a Milwaukee Admiral but you don't play hockey. Needless to say, a preponderance of the evidence shows beyond a reasonable doubt that Rebecca Bradley is an extremist and as partisan as they come. As I noted above, the extreme right wingers are really pushing for the ultra conservative Bradley to run. One of these extremists is radio squawker Charlie Sykes, who is pushing for her on his "White Wisconsin" page, which is funded by the Wisconsin Club for Growth. In what I'm sure is a pure coincidence (cough, cough), the Wisconsin Club for Growth dropped $167,000 on ads to support Bradley, which is a helluva lotta money for a county circuit court race. I am sure it is also pure coincidence (cough, cough,) that the Wisconsin Supreme Court has not even heard, much less rendered a decision regarding the slew of John Doe related cases - all involving the Wisconsin Club for Growth - that have been sent to it. I would not be surprised to see the dark money special interest group stall any proceedings by the Supreme Court until the latter half of next year when they feel that they hope to have enough of a strangle hold on Lady Justice. I don't think it would be possible to overemphasize the importance of this election. We must stop the damage before we can start repairing it. Why even try - lost cause. No Capper the majority of Wisconsinites are not licking their wounds, we are still calibrating. You just keep on calibrating because no one is celebrating. Gov. Walker has FOUR more years to make good on his promise of 250,000 new jobs. How long will it take him? TRS, has Gov. Walker "calibrated," how to get out of the $2.2 billion dollar deficit he dug? TRS, what's the "calibration," on WIGOP ending the job-killing-government-regulations against marijuana? John - don't you see how Walker is going to come out looking like a hero with this defecit. He'll cut everywhere and the naive right will love him for it. Justice Bradley has already lost. Her "consultant" is the most inept of Tate's circle - Melissa Mullikan. The incestuous circle of incompetent political operatives continues to earn money while progressives in Wisconsin lose. Sadly, I think Walsh is toast. The walker money machine will destroy her while the self emasculating Dem leadership will fail to do anything meaningful to save her. Interestijg that capper is deleting comments. Why Capp. The fact that the same old Dem operatives are being trotted out for Ann is a worry, because it takes populist thinking to win this race. If you make this race about "standing up to the money power" and "looking out for the little guy against big corporate interests", Ann Walsh Bradley will win big- look at how many voters in Wisconsin agree with repealing Citizens United. But will the GOP-lite, money-chasing Dem operatives finally realize where the people are on this issue and SAY IT?? A John Doe indictment would also help- I don't care if it would make the other cases less than perfect. We need perp walks and document dumps on these crooks to bring into the public's focus just what is at stake here. It is vital that WE are able to concretely articulate the vast differences between the two candidates. 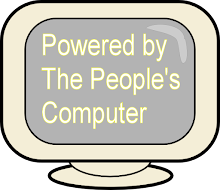 Are we to be governed by the wealthy and corporations? Look at what Rebecca Bradley represents. A corporate lawyer, having no judicial experience, is appointed by Scott Walker in the vacant Children's Court, where she had little background with that type of law. A quick two years later, she already is being backed to run for Supreme Court. Her involvement with the Federalist Society is based purely on political ideology. 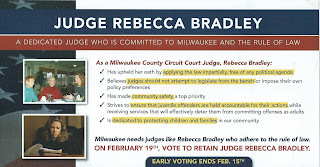 Rebecca Bradley is perfect for the nationwide campaign coordinated from the U.S. Chamber of Commerce (with its Wisconsin Manufacturers & Commerce) and its Institute for Legal Reform to elect supreme court judges, as well as attorney generals. And, the ILR owned the website that published the dubious American Media Institute stories that were supposed to discredit John Chisholm and the John Doe 2 proceedings. 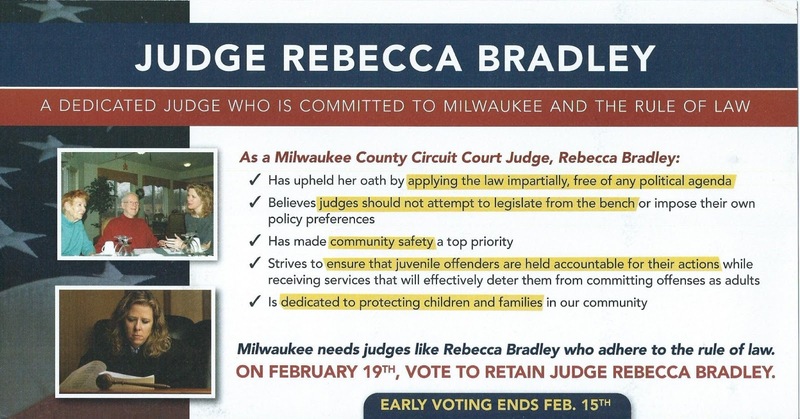 Rebecca Bradley in early 2008 went to bat for candidate Mike Gabelman, who was running a dirty campaign against Louis Butler, attacking the State Bar's Judicial Campaign Integrity Committee, signed by all leaders of the Milwaukee Federalists. Let's not forget fellow Federalist Rick Esenberg, doing his part for the Federalists and WMC, attacking Butler by claiming he was "activist." Federalist Society lawyers are precisely the type promoted by the Bradley Foundation and WMC to carry out their right wing agenda. Federalists like scalia and clarence thomas are also members of Opus Dei...someone should try to detect which wisconsin supremes have a length of barbed wire secretly wrapped around a leg. Hope Justice Bradley at least considers mentioning the problems caused by the job-killing-government-regulations against marijuana.